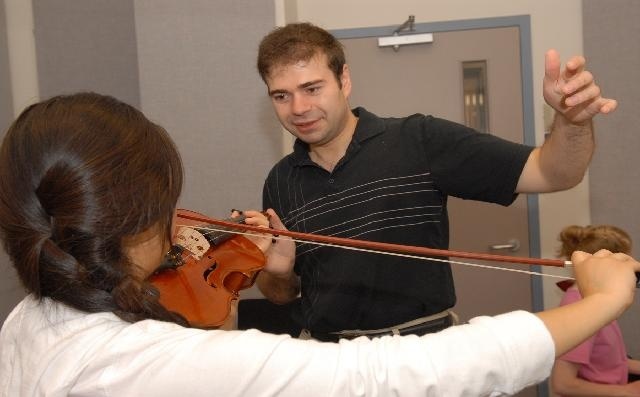 Grigory Kalinovsky is professor of violin at the Indiana University Jacobs School of Music. 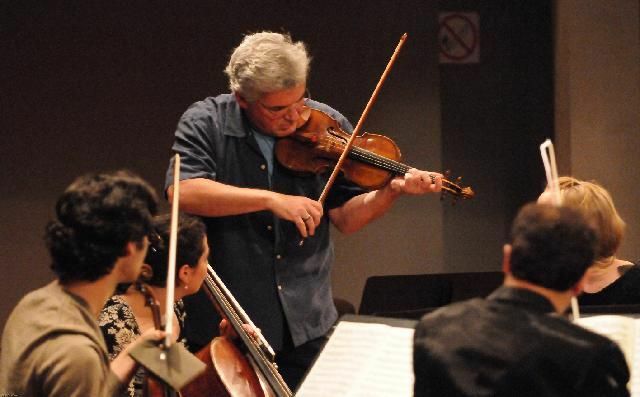 He, along with violinist Joseph Swensen, holds one of two inaugural Starling Professorships, appointed in fall 2014. Hailed by critics as a “superior poet” (Vancouver Sun) and praised for his “heart and indomitable will” (Gramophone), he has performed at some of the world’s major venues, from all three stages of Carnegie Hall in New York to Musikhalle Grosser Saal in Hamburg. 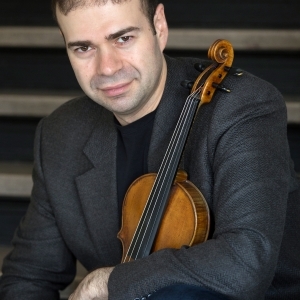 As a recitalist and avid chamber musician, he has performed at numerous concert series and festivals, including the Asheville Chamber Music Series, Lyric Chamber Music Society of New York, Lucas Foss’s Festival at the Hamptons, Newport Music Festival, and Pavel Vernikov's festival, “Il Violino Magico” in Italy, collaborating with such renowned musicians as Pinchas Zukerman, Shmuel Ashkeniasi, Ralph Kirshbaum, Miriam Fried, James Buswell, Dora Schwarzberg, and Paul Coletti, among others. 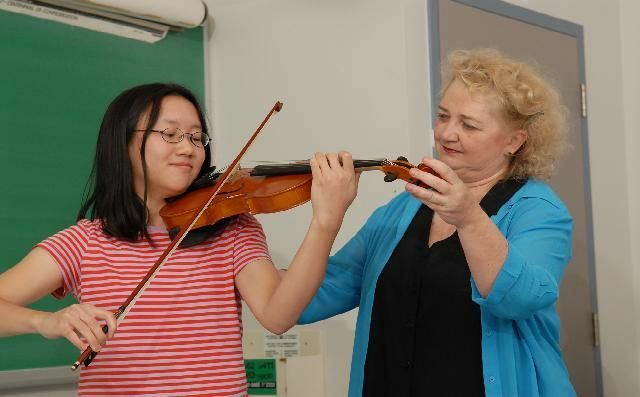 A devoted educator, Kalinovsky joined the Jacobs School of Music faculty in the fall of 2013 and continues to teach at the Pinchas Zukerman Young Artists Program in Canada and the Heifetz International Music Institute. Previously a faculty member at Manhattan School of Music, he has taught at many summer music festivals, such as Keshet Eilon Mastercourse in Israel, Bowdoin International Music Festival in Maine, Soesterberg International Music Festival in Holland, Summit Music Festival in New York, “Il Violino Magico” in Italy, and Manhattan in the Mountains, where he was also one of the founding artistic directors. He has presented master classes at many major U.S. festivals and music schools, including New England Conservatory, the Colburn School, Meadowmount, University of Maryland, San Francisco Conservatory, and Seattle Conservatory, and at numerous European and Asian institutions, such as the Sibelius Academy in Helsinki, Buchmann-Mehta Scool of Music and Jerusalem Music Center in Israel, Lübeck Academy of Music in Germany, Beijing Central Conservatory in China, Seoul National University and Korea National University of Arts in Seoul. His students have won top prizes at national and international competitions, including the Menuhin Young Artists Competition in England, Andrea Postacchini Young Violinists Competition in Italy, and Fischoff International Chamber Music Competition in Chicago, and have gone on to study at institutions such as Curtis, Colburn, Juilliard, Yale, New England Conservatory, Manhattan School of Music, and Indiana University, among others. His recording with pianist Tatiana Goncharova featuring Shostakovich’s Violin Sonata and Twenty-Four Preludes transcribed for Violin and Piano by Dmitri Tziganov—with several of the transcriptions commissioned by Kalinovsky from the celebrated composer Lera Auerbach—was released by Centaur Records to great critical acclaim and hailed by the composer's son, conductor Maxim Shostakovich, as “a must-have for any Shostakovich music connoisseur.” The duo’s recording of the complete set of sonatas for violin and piano by Mieczysław Weinberg was recently released on Naxos label. Kalinovsky started his music education with Tatiana Liberova in his native St. Petersburg, Russia. After coming to New York, he continued his studies with Pinchas Zukerman and Patinka Kopec at Manhattan School of Music, where he served as a faculty member shortly after graduating and until his move to Indiana University. What Makes SMI Unique? SMI faculty share their insight.